My grandparents were married in 1949 and went to Niagara Falls for their honeymoon. My grandfather, Roy Suckling, was born in Niagara Falls, New York. His parents had been raised across the border in Ontario. 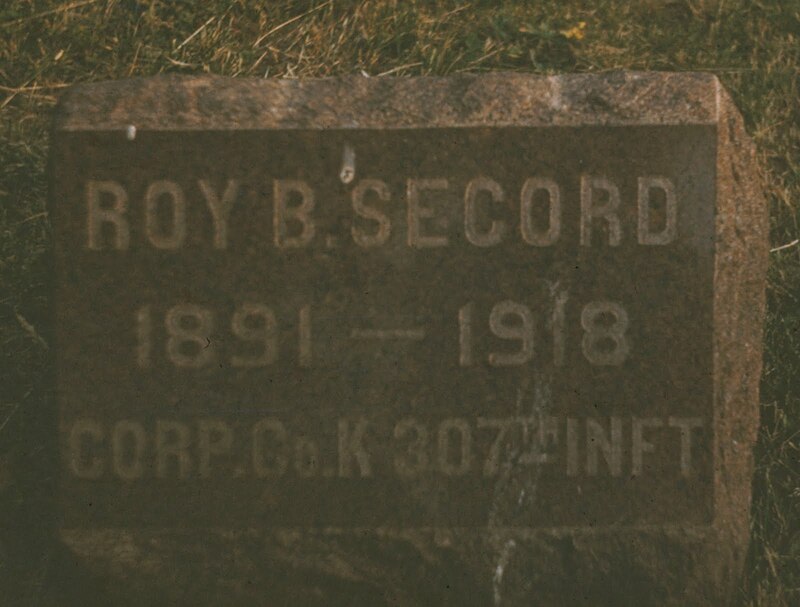 Among the photos of their trip is the tombstone of Roy B. Secord. A man who shared my grandfather's first name, but is not related to my family. I'm not sure if this stone was found on the US or Canadian side. 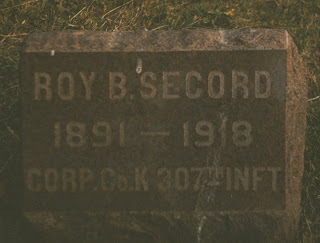 I searched Ancestry and found Roy B Secords on both side of the border. None matched the 1891 birth date.This man may have died while serving in the First World War. If only my grandfather had taken photos of all the gravestones of his family buried in the Niagara area. It would have been nice to find a whole set of slides of cemetery photos.